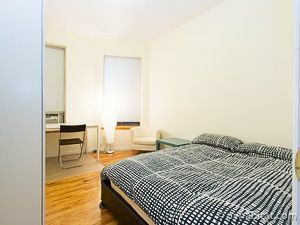 This is our reference NY-17467 Rent a bedroom in this furnished shared 4 bedroom/1 bath apartment in Harlem. 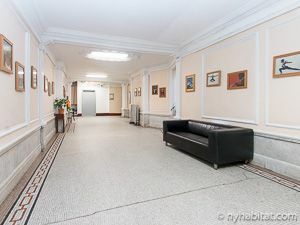 The apartment is located on the 3rd floor (2nd floor European) of a seven story elevator building with intercom for security, located near West 141st Street and Malcom X Boulevard in central Harlem. 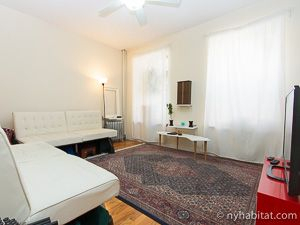 The apartment has hardwood floors throughout and the space is shared with roommates occupying the other bedrooms. 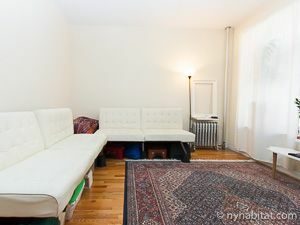 The shared common spaces include the living room, where two large windows let natural light brighten the space, and two white sofas provide a place to lounge and socialize with your roommates or watch the flat screen TV. 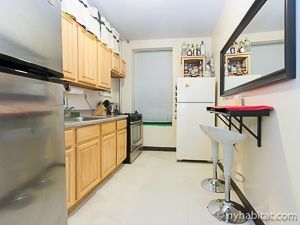 The shared eat-in kitchen area has light wood cabinets and stainless steel appliances and is equipped with all the basics for NYC living including stove/oven, toaster, refrigerator and microwave. 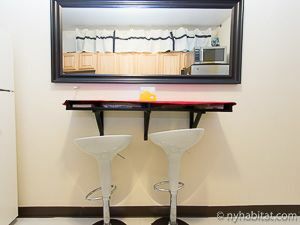 A snack bar area with bar stools provides space in the kitchen to enjoy a quick meal. 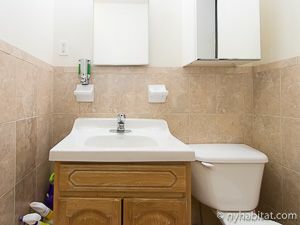 The shared bathroom is tiled in beige and provides bathtub and shower options along with a sink with storage space beneath, a toilet and mirrored vanity. 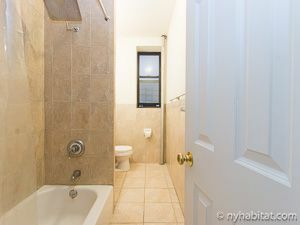 You have a choice of private bedrooms depending on availability. 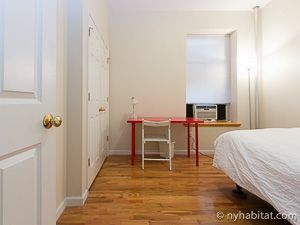 Both bedrooms for rent have queen size beds and a desk with chair, an armoire for storage, and are air conditioned. 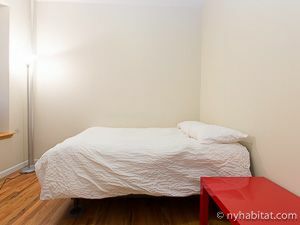 Bedroom 1 is slightly larger with two windows while Bedroom 2 has one window and has additional closet space for storage.